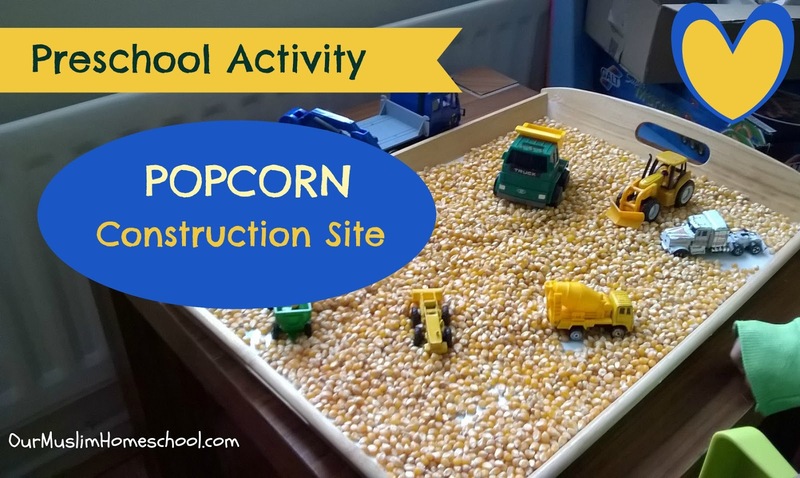 Preschool Activity: Popcorn Construction Site! In our homeschool, I am always trying to find a way to keep my preschooler entertained while I teach his elder brother. 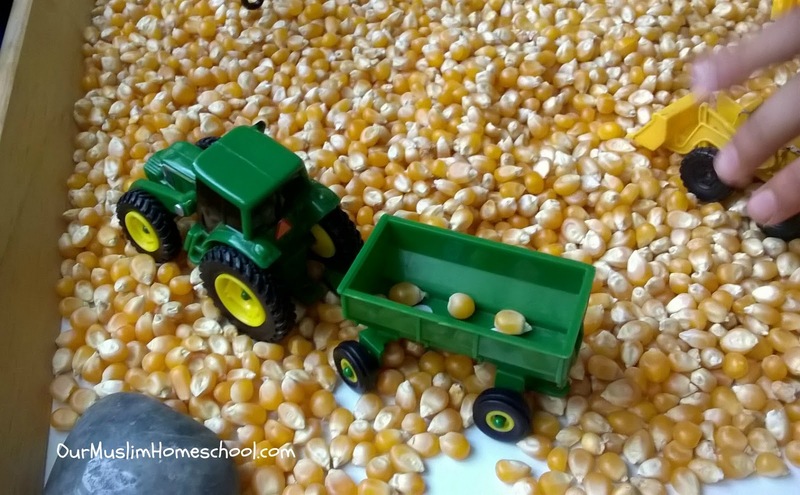 This preschool activity worked amazingly! It entertained my three year-old for almost two hours. He had a lot of fun and we got some homeschooling done! This activity is brilliant for encouraging imaginative play. 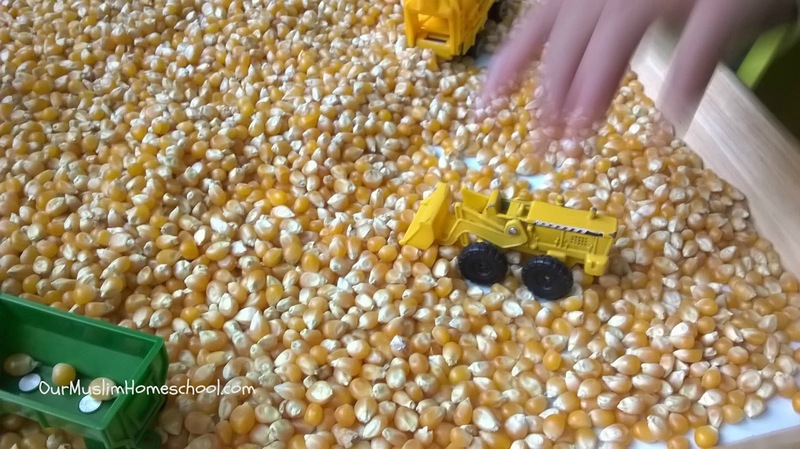 It also works you child’s fine motor skills and is a fabulous sensory experience! It’s not hard to set up. 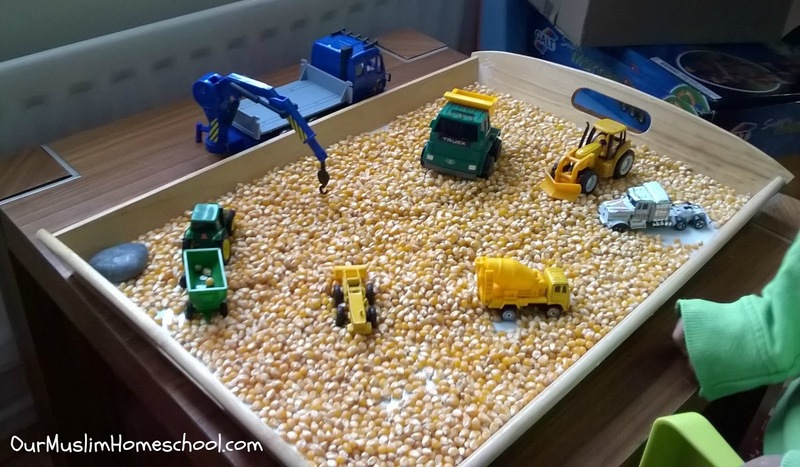 Just empty a bag of un-cooked corn (rice or lentils would work well too) into a shallow wide tray and add some construction vehicles! Make sure you Subscribe to my mailing list so you don’t miss out on the next blog post! For a daily look into our homeschooling day follow me on Instagram, Twitter or Facebook. Toucan Box Review | Arts and Crafts Subscription for Kids! 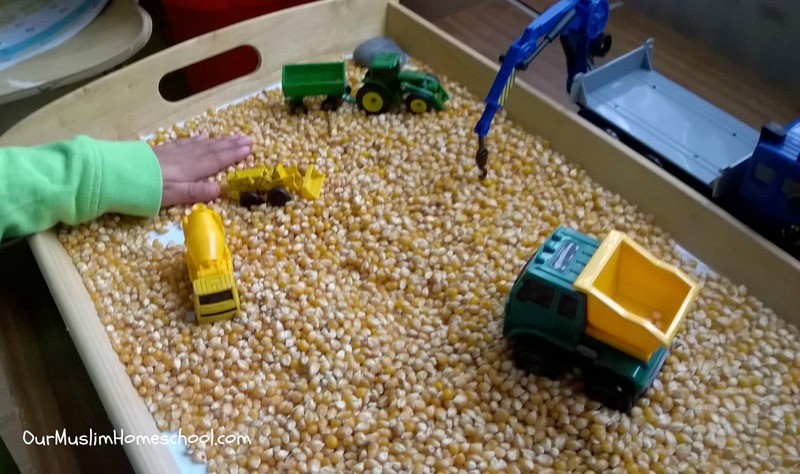 1 Comment on Preschool Activity: Popcorn Construction Site!